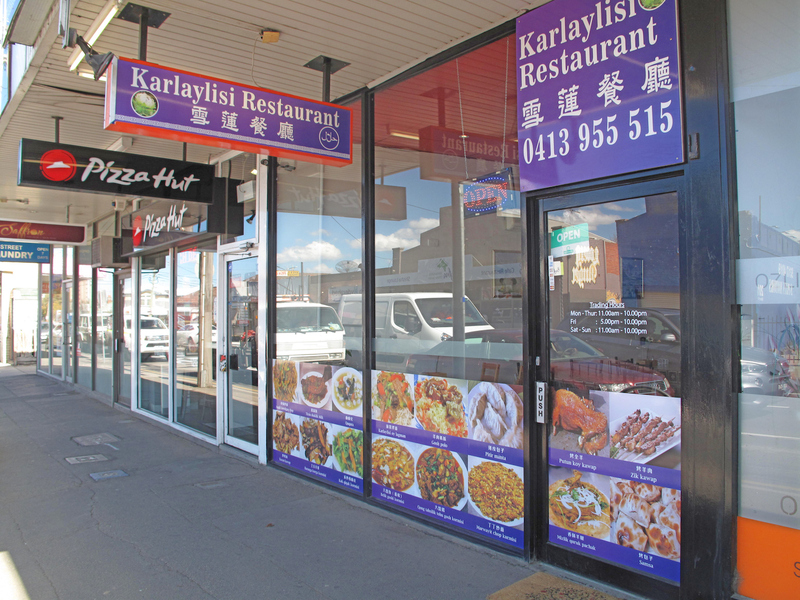 Don’t let the Ballarat Road address mislead – Karlaylisi is situated on Gordon Street. In fact, it occupies the exact same premises as the sadly short-lived Spice Klub and its Indonesian offerings. 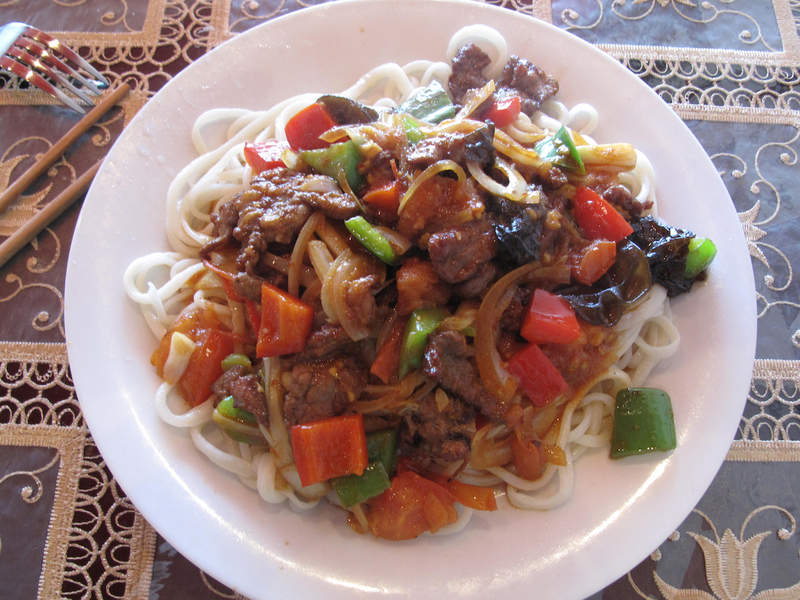 Karlaylisi delivers Uyghur cuisine – the food of the Uughurs, who live mostly in China’s Xinjiang province. Check out this SBS story for background on the people and their food. There’s oodles to like about Karlaylisi. Indeed, it could be tossed up as the perfect template for the perfect CTS eating house. The menu is long, stuffed with dumplings, hand-made noodles, soups, cold dishes and kebabs. And lots and lots of lamb dishes. Some items are certainly for larger and planned groups – the roasted whole lamb ($350, $180), for instance. Or even the lamb casserole with steamed wrap bread ($60). Yet despite the ambitions inherent in the menu and that this appears to be a one-man show, we found our food to be fresh, hot and delivered to our table with admirable speed and wide smiles. 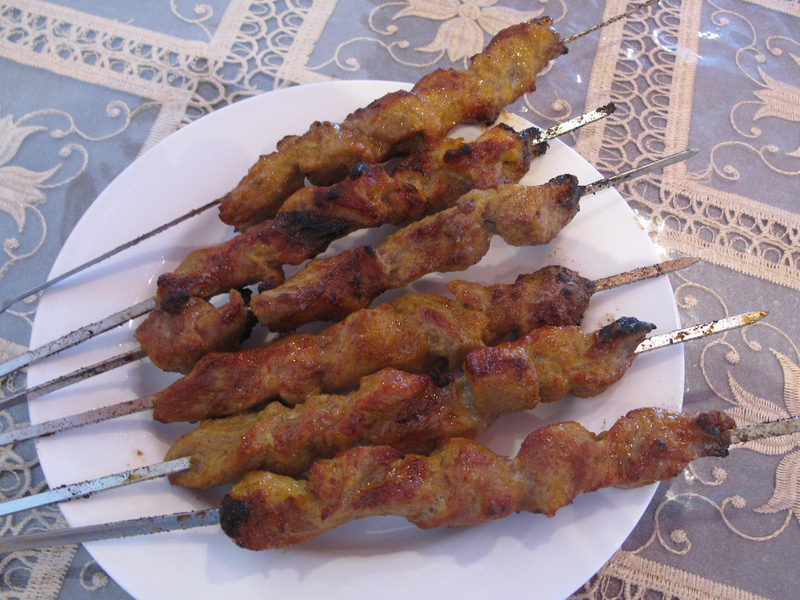 An early highlight – actually, THE highlight – are the lamb skewers ($2 each, minimum of five). These feature bigger chunks of meat than we’ve had elsewhere. They’re more tender, too, and a little less seasoned with salt and cumin. There’s some fat, but it all tastes way more than good. 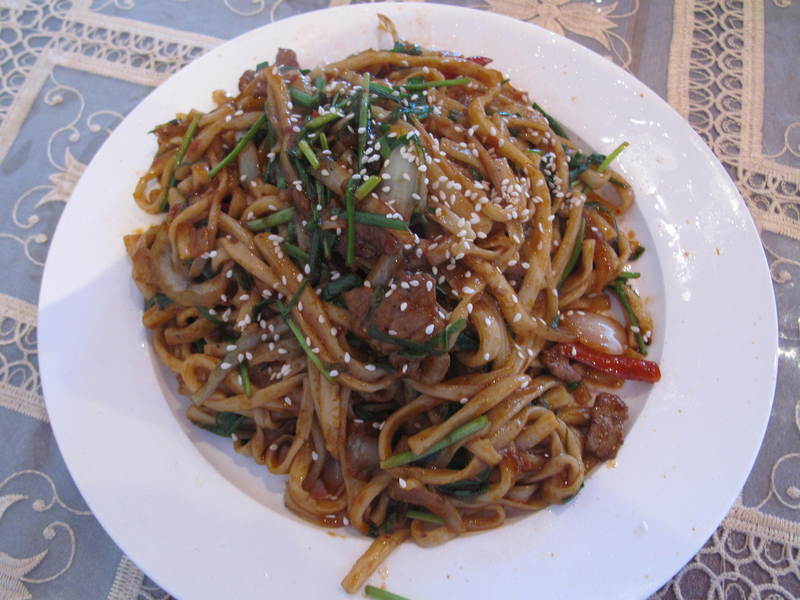 Siyi qanalgan lagman ($14.50) is a homely and nicely plain mix of lamb and vegetables on a mound of noodles. You could pitch this to picky kids as a spag bol variant, no problems. 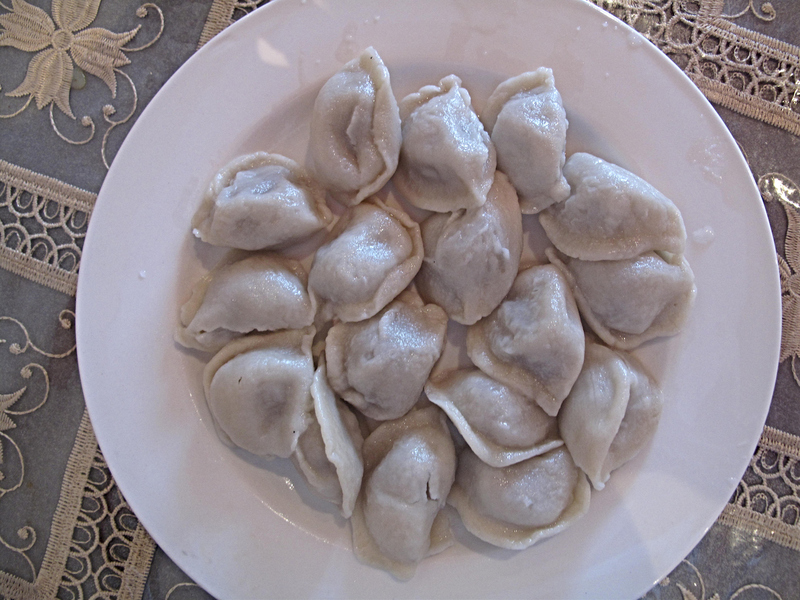 From the dumpling/pastry list come tugra ($13), lamb dumplings. Once again rather plain, they nevertheless go fine. Aqqik korulgan chop ($14.50) is a much sexier (i.e. oilier and with some chilli heat) noodle dish with lamb, garlic chives and sesame oil. 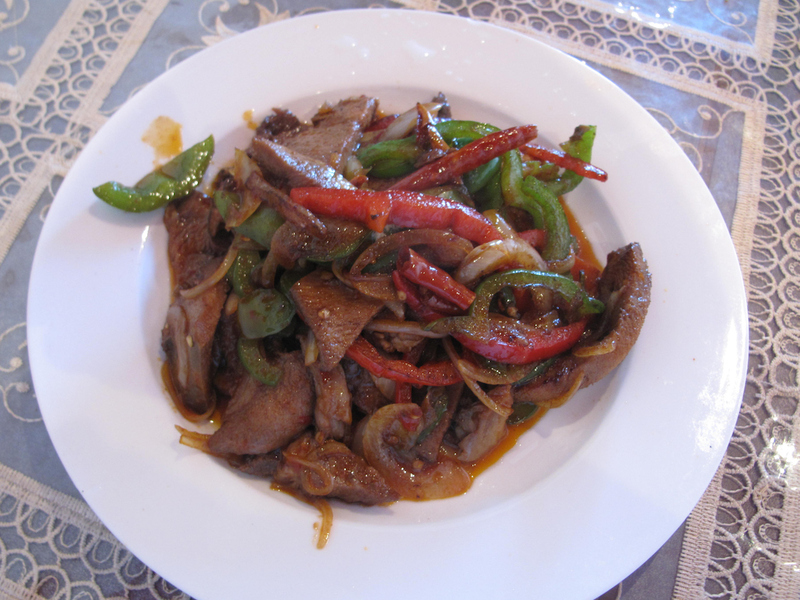 Kala til kormisi ($14) is stir-fried beef tongue. I expected to this to have a more pronounced chargrill or wok hei aspect. Instead, the meat is quite silky and very tender. 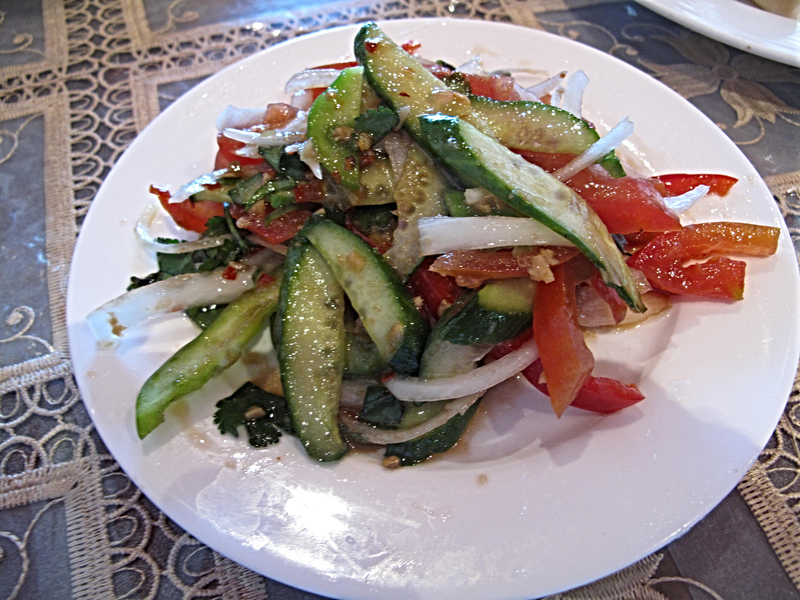 The overtly meaty vibe of our menu choices is ameliorated by the complementary salad presented to us. Laohusai ($13) is a delight, zingy and fresh with loud voices of garlic and vinegar coming through. We will return to Karlaylisi – there’s so much to explore! Whoops – missed that! Just found it on the takeaway menu in front of me. Will amend the story! like to see this place prosper,the cummunity may be small but i suspect name of restaurant may get attention from turkish community .finger crossed! We had the good fortune of visiting a Xinjiang restaurant while were in Beijing earlier this year. Our table of vegan food certainly looked different to the lamb-dominated ones around us…! I’ll be keen to check out the menu here next time I’m in Footscray. ahmed non muslim minorities also feel the same way often in muslim majority countries in discrimination issues.religion based discrimination is far widespread compared to racism.this halal ban in ayghur is a little too extreme to be true. Its learning curve,i don’t see it bad, let them try it who cares if not succeed. Hi Lavara! Thanks for the update – that’s some very fine news to hear! The dumplings did it come with sauce or nice to eat by itself? I Dr thru daily ballarat rd how come i didn’t see this restaurant! hi ben, the restaurant is facing gordon st like footscray hospital,it can easily be missed and parking is not good the area. I’m pretty sure there is parking at the rear, in a carpark behind the shops. this community is small but they are scattered and less concentrated in melbourne which is not helpful.wonderful to see the extra support from locals to safe it. 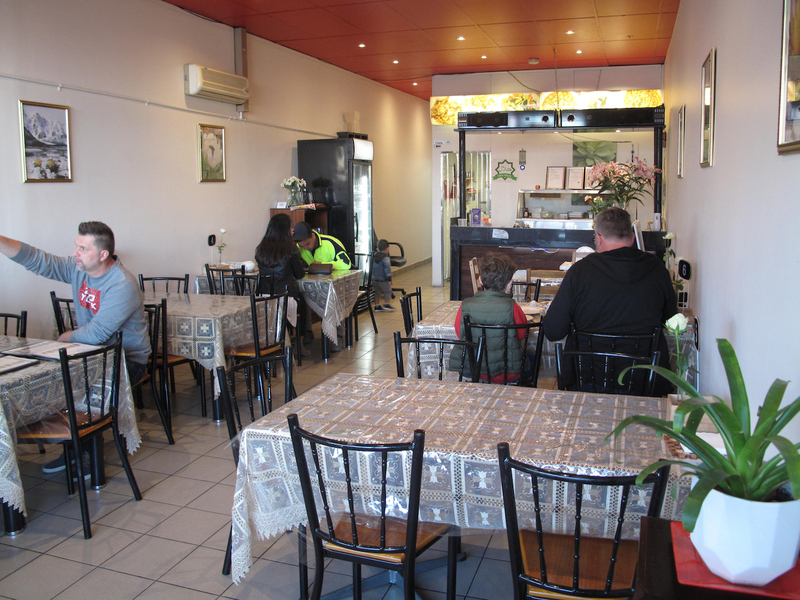 yes food //people relation play big role restaurant business, tamaz there is unmarked restaurant of malaysian food in melbourne which you may know ,full every minute with malaysians,i don’t think it could stay open a day if people knew as somalian restaurant ,area has zero somali population. I think House of Mandi’s Arabian nature is sometimes over-stated. All the food we’ve had there could just as easily be described as Somalian. i tried to use the word “over-stated” but looking customers,they were arab food seekers,suppose its little over-stated as people aware what you just said.many of their google reviewers do reflect that particularly last reviewer. after surprise dinner talk was “we had great arabian food in arabian restaurant”.appearance is very important in businesss considerthesauce. it didn’t matter if food tasted somalian. i dont make my self a buzy on names ,i eat a place if i like the food but the food people relation does exist sadly. eating arabian way so cool house of mandi but agree its somalian,but its yemeni restaurant. clearly mandi seekers in the area didn’t waste time taking this little cafe as their second home . good review consider the sauce. its marked that yemeni near newmarket station,the night we went somalian serve us.and was on goodfood guidr cover too as marked. i would’t say marked,house of mandi is yemeni restaurant to non somalis.consider the sauce did reviews many west eats and many somali cafes and journalist who knows somali cuisine,but to general public its yemeni restaurant,hard to believe any non somali who say lets go african cafe and have african food in house of mandi.its over stated as keny said if customers treated house of mandi just another new somali kitchen ot somalieats but that is not the case if you look at customers.racecourse is famous for malaysian,somali but lately also become place to get arabian mandi.i have seen good food guide review,there is no mention somali restaurant or somali food,only said somali owns,that is general public and 99% of non somalis who want eat somalian food they go to surrounding african cafe. there are italian restaurants that serve somali pasta but how food and restaurant decorated means its italians,customere are mix,some they notice and others with less knowledge italian cuisine they don’t notice.so taste of food is not cared,if you serve them somali goat dish in italian restaurant,they will think italian restaurant with exotic food. identity is what attracts people not taste of food.customers of cafe is influenced by “who is the owner and what kind of cafe is it,these two is most important. i been to chinese restaurant owned by vietnam but because identity is chinese restaurant they had very large chinese customers with some viets,identity is key role of customers. there is one in carlton,its also halal but public do not know.i like that place. the owner is relative distance,abit posh place but well worth it.nice.